the term "blooper" and collecting many fine specimens. 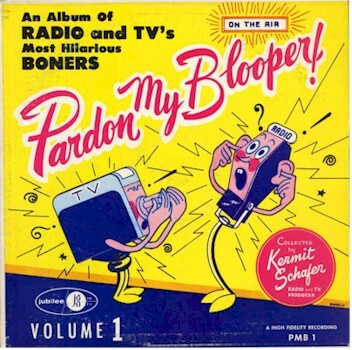 I think Allen Funt ("Candid Microphone" which later became the hugely popular "Candid Camera") either apprenticed for, or was inspired by Kermit Schafer - the original! One I remember from these albums was an introduction of the banjo player, Eddie Peabody, who was introduced as, "the great Eddie Playbody who will pee for you!"